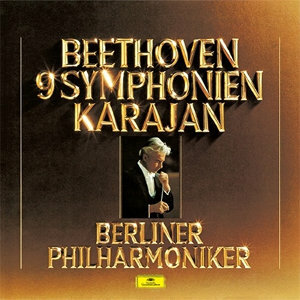 The 2nd DG-Beethoven-Karajan cycle appears (to me) a bit neglected of most reviewers. I think the new remastering probably gives this &apos;in-between-cycle&apos; more and new attention. With the 1963 set already available in HD, it never occurred to me that the 1977 one would be released as well. It certainly never occurred to me that I&apos;d need this, but I did. I listened to all 9 symphonies in one day. The remastering is beautifully done. DG really cleaned this up, fixing some of Michel Glotz&apos; messy balances. I&apos;ve never been a fan of his unnatural dynamic ranges. These new remasters are warm and nicely balanced. The Philharmonie provides a great acoustic. The 1963&apos;s biggest flaw was the Jesus-Christus-Kirche, with its echo-y, high reverberation acoustics. It made everything sound like it was coming out of a cave. The good producers were largely able to compensate; the bad ones (Glotz) were not. In any case, in many ways because of the better, warmer and more focused sound, these 1977 recordings even supplant the more famous 1963 cycle. The only disappointment was the 4th Symphony; it was on the plodding side. I don&apos;t remember the 4th of the earlier set being that heavy. But the rest is stunning. The Marcia funebre of the 3rd is magnificent and the Scherzo is ideal. Typically it&apos;s played as a rollicking good time, but that&apos;s always given me whiplash after the Marcia funebre. 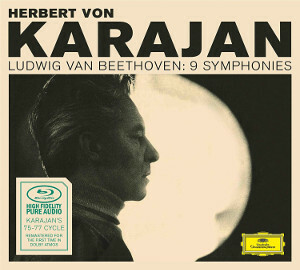 Here Karajan takes the Scherzo slower and more serious, much more fitting on the heels of the Marcia funebre and leading into the final movement. The 5th is thrilling. The Storm of the 6th is hair-raising and the final movement is ravishing. The 7th is exhilarating and the 8th is breathtaking. The 9th is superb. I&apos;ve never been a big fan of the 1963 version because of the acoustic. The chorus sounds terrible with the echo. A few of Karajan&apos;s famous choral recordings are ruined by that acoustic (Brahms&apos; "Ein Deutsches Requiem" comes to mind.) But in this 1977 set the chorus - and its sound - is on point. The soloists could hardly be bettered too (on balance, just as good as the 1963 set). The release of this set was a surprise and a very good surprise. Highly recommended. The recording you have linked was also the 1977 recording, I believe and not the more famous 1976 account. 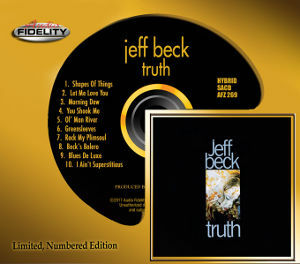 ...and this account is the one present on the new SACD-edition. - And it sounds to me just wonderfull. Dear Contrapunctus, I bought a copy of that set because I am a fan of the 70s cycle and I found myself to agree with you on the Emil Berliners remastering. Will let you know if this set follows the same trends. - Redbook CD from DG Galleria. 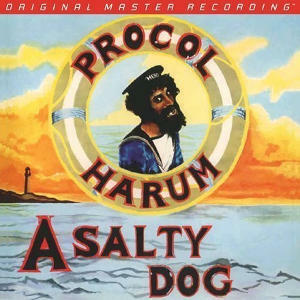 - SACD from DG released on 2002. I focused on this incarnation for the comparison. To put it in very few words, I&apos;m completely rediscovering the performance. In many tutti the orchestra sounded blocked and razor shape, especially on the violins, bass were a bit anemic. This is completely corrected to such an extent that I am wondering if this edition uses the same takes. The overall is clearer, smoother and not congested in any way. Let&apos;s not forget the singing which is now detaching naturally from the orchestra. I feel lots of pleasant hours of listening are coming for the rest of the set. Dear Don_Angelo, I&apos;m glad to hear that you&apos;re enjoying this sacd set! - After years of collecting, listening (and commenting a bit) to Universal Japan SHM-SACDs, I can say that most of them reveal the full musical/sonical potential of the original tapes. It&apos;s often frustrating and surprising at the same time to see how inferior the regular RBCD copies sound compared to the SHM-SACDs. Regarding DG Beethoven Symphony cycles in general, I&apos;m at the moment totally overwhelmed with the new SHM-SACD set of Karl Böhm&apos;s Beethoven cycle (Vienna Philharmonic, 1970/71). The sound is in my opinion even more rewarding than the Karajan &apos;70s set. Unbeliveable, I know. Especially the sound stage is amazing and the orchestral sound is transparent. You can hear nearly all instruments, nothing is hidden. The same goes for the Brahms symphonies with Böhm/VPO (also new on SHM-SACD) - outstanding! Thanks a lot for your feedback on the Böhm recordings, especially for the Brahms symphonies. I own a copy of the redbook incarnation which I neglect because of the muddy veil I can hear over the orchestra. I&apos;ll be sure to check the SACD incarnation you mentionned.